Got a disease, but can’t afford the diagnosis? There’s a way around that—a roundabout way. 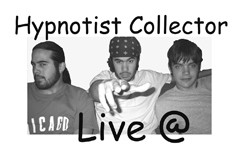 A Dan Guzman song played with his old band, Hypnotist Collector: the late Bryan Guzman on bass and backing vocals, Justin Flanagan on drums. 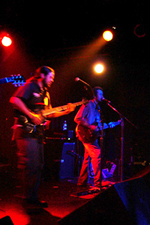 It’s one of my favorites: rock and funk with a long, strange instrumental ending building to a beautiful come back. ♦ Listen below, then hear more of Dan Guzman’s music on this site. You can also watch it on our YouTube channel. This entry was posted in Music & Media Podcasts and tagged Bryan Guzman, Dan Guzman, hypnotist collector, Songs by Dan Guzman. Bookmark the permalink.